Are you tired of spending all day or, worse yet, the whole weekend, cleaning the house? What if you could finally get your weekends back? That’s Clean Maids referral agency is here to help make your life better by giving you the gift of free time and matching you with the best in the cleaning business. We think of Tomball and the wider surrounding area as home! This is a community built on hard labor, honesty, decency, and helping others selflessly. We sincerely believe in these principles. It is those principles that help us deliver customer experience of the highest quality. Book a cleaning with That's Clean Maids today and enjoy the amazing effect of Houston TX maid cleaning services. You'll soon see what makes professional cleaning well worth it! house looking spotless and it takes mere second for all that to go away! Luckily, once you find the perfect cleaning package for your home, you won't have to worry about it anymore. Flat or hourly rates, no need to sign a contracts, and you're free to cancel anytime! Cleaning the windows? Baseboards? Carpets? Worry not, your cleaners have got you covered. Customize your cleaning until you're perfectly happy with what it includes! Tomball is an awesome place and an awesome community. But how can you enjoy it if you waste all your time trying to keep the house looking half-decent? Let us help automate all the cleaning in your home. Why waste precious time scrubbing, vacuuming, and mopping? It's time to say goodbye to elbow grease and make some changes, for your own sake and for the sake of your home and family. Want to surprise family or friends living outside of Tomball? No problem! 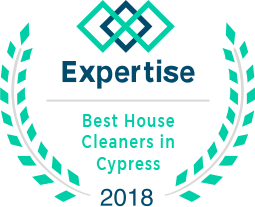 Services available elsewhere in Houston area: house cleaning services Cypress, house cleaning services Spring, house cleaning services Cinco Ranch and house cleaning services Missouri City areas. You can’t put a price tag on the value of your free time. You deserve to spend it with your loved ones, doing things you love. Enjoy winding trails, scenic views and lush forest in Burroughs Park or visit the Tomball Museum Center. Take up a new hobby! As your trusted cleaning referral agency in Tomball TX, That’s Clean Maids is here to help make it happen! We can free up your schedule by dispatching professionals to do all the house cleaning work for you. Our mission is to enhance your quality of life by connecting you with professional cleaners who perform top-notch cleaning Tomball TX residents can always rely on. How do we achieve this? 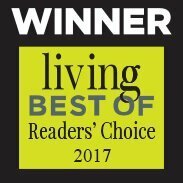 We work with the best cleaning professionals in the industry who are extensively trained, vigorously vetted, reference- and background-checked, as well as fully insured for you peace of mind. When you book their cleaning service in Tomball TX, you know that you are opening your door to reliable, courteous and highly skilled cleaning go-getters. They will arrive on time, equipped with all the cleaning supplies needed to make your home squeaky clean. For them, cleaning is not just a job, it is their passion. 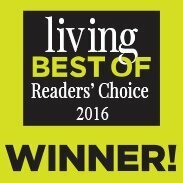 The end result is unmatched house cleaning in Tomball TX and your complete satisfaction! Here at That’s Clean Maids, our goal is not only to meet your expectations but to exceed them! Whether it is a special request or a change in schedule, we are flexible in accommodating your needs. Aside from basic and deep cleaning, the teams we work with offer move in/out cleaning services, as well as tile and grout cleaning. If you are seeking a referral for a trusted maid service in Tomball TX, look no further than That’s Clean Maids! All cleaning services are customizable to fit the needs of your home. We don’t want you to spend more time than necessary scheduling a maid service Tomball TX homeowners rely on. Our easy, secure online booking system, transparent flat-rate pricing and cash-free payment will allow you to book an appointment effortlessly. After that, just sit back and relax, and leave the dirty work to the best cleaning service Tomball TX can offer! We are so confident that you will love the cleaning performed by your new cleaners that we offer a 100% satisfaction guarantee. If you are not absolutely happy with the work, all you have to do is contact us and the team will come back to re-clean the area to your satisfaction at no extra cost. We work hard to show how much we value your trust and loyalty and strive to resolve any concerns you may have within 48 hours. If you are looking for consistent top-quality house cleaning in Tomball TX, That’s Clean Maids is your optimal choice. The cleaners we work with get rated after each and every cleaning they do – based on what you tell us about the service in our customer satisfaction survey. You will be assigned the same cleaning team whenever possible but is you’d like someone else to handle your cleaning chores, just let us know! Simple as that. 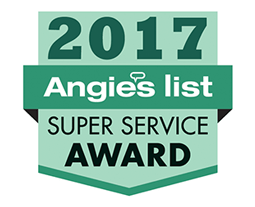 We have received a number of awards that recognize our dedication to the quality of service and customer care. As part of our community, we are proud that we have been recognized as the best house cleaning referral agency in Cypress, TX. As we refer to you the most efficient maid service providers Tomball TX has to offer, That’s Clean Maids can help you enjoy your sparkling home and your free time! Need a one-time or recurring cleaning service but don’t live in Tomball? The cleaners we team up with also provide first-class house cleaning in Missouri City TX, maid service in Spring TX, as well as house cleaning Sugar Land TX residents rely on, while the maids in Katy are the best in the business. The list doesn’t end here. The teams also service Tomball, Cypress TX and the surrounding areas. Call us today and free yourself from the burden of overwhelming cleaning chores! Receive the help you need to keep your home sparkling and your stress levels low! We and the cleaners we team up with are here for you, whatever your needs may be. Whether it’s once a month or once a week, we offer a variety of scheduling options that fit your needs. Enjoy the opportunity to hand over your cleaning tasks to someone else, and take the load off of your shoulders. With That’s Clean! Maids, you can be assured that your home is in good hands, as all the cleaning professionals we team up with will have passed rigorous screening and background checks. They are also insured, because safety is their primary concern. We know that having someone take good care of your home is important to you – and your trust is important to us. Buy groceries? Check. Dentist appointment? Check. Get oil change? Check. Deep clean the house? Do I have to?! We understand that life is full of responsibilities that compete for your attention. Household cleaning tasks shouldn’t take what little free time you have left. Let a team of experienced professionals do the work for you, so you can focus on what really matters. Manage your account online, and have the assurance of secure, SSL encryption when providing your card number. Your information is safe with us! Satisfied customers are our #1 priority. We take pride in our excellent service quality and your cleaners' dedication and willingness to get the job done right. The 54-point check list your cleaners will use ensures that your home will be cleaned thoroughly and efficiently. Be sure to let us know what you think via an automated email survey after the job is done. Need to talk? Easily contact us via phone or email. We also provide convenient automated reminders regarding your cleaning service appointments. Your home’s needs are critical, and we are here to listen to what you need to tell us regarding your cleaning service requirements. We can’t wait to hear from you! Wow. This has to be the best experience ever when dealing with a cleaning company! I booked on their website, immediately got a confirmation email stating my booking had already been assigned to a team. I was feeling frisky so I downloaded the app. I received reminders about the appointment, got an update on when the team was on the way, and a survey when they finished. Not to mention the team was absolutely fabulous. Glad I signed up and would recommend. Absolutely love the app! Uber for maids anyone? lol I have used their service multiple times and have been impressed every time. I don’t really have the time it takes to do a thorough cleaning myself with the 2 kiddo’s. Glad I found them. “I booked That’s Clean for a Carpet Cleaning. They did such a great job I now use them for my house cleaning monthly. The girls are wonderful and very polite. I wish they mowed yards too! “I have been using That’s Clean Maids for the last 2 years. They are always super thorough every time they come. I have bi-weekly service setup and they have never missed an appointment. Very convenient! The house looked great. With 3 big 100 lb dogs who love to play in the mud and 2 small kids, our mess is uncontrollable at most times. So the ladies had their work cut out for them. They were in and out and everything looked and smelled great. Thank you!